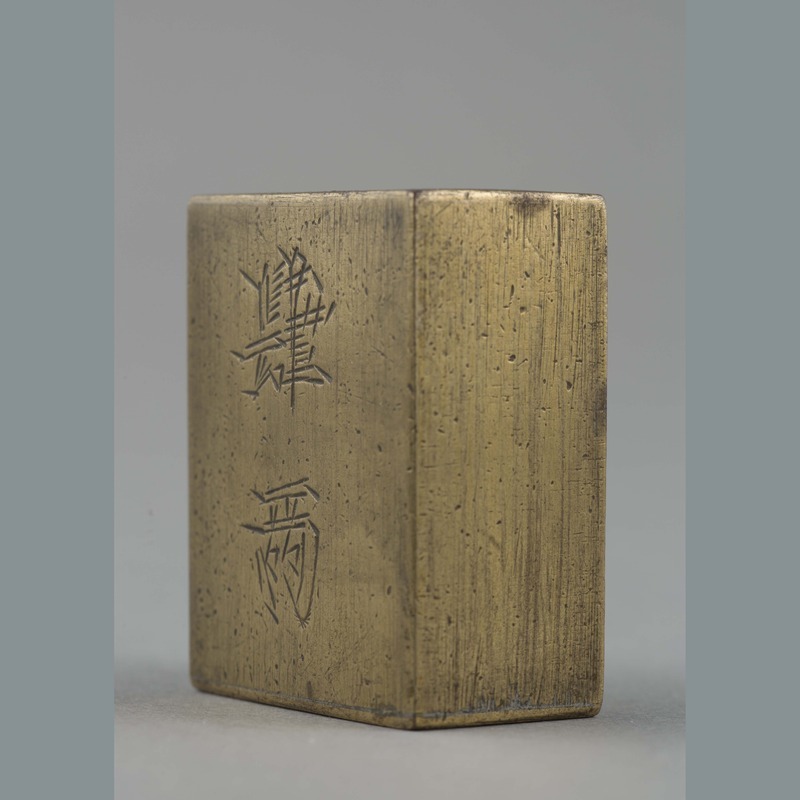 One cuboid brass weight. 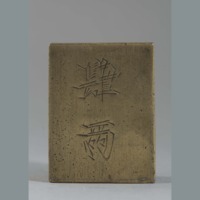 One side presents two Chinese characters 肆兩 (four taels). 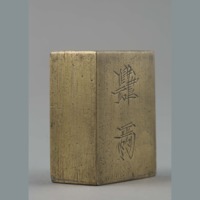 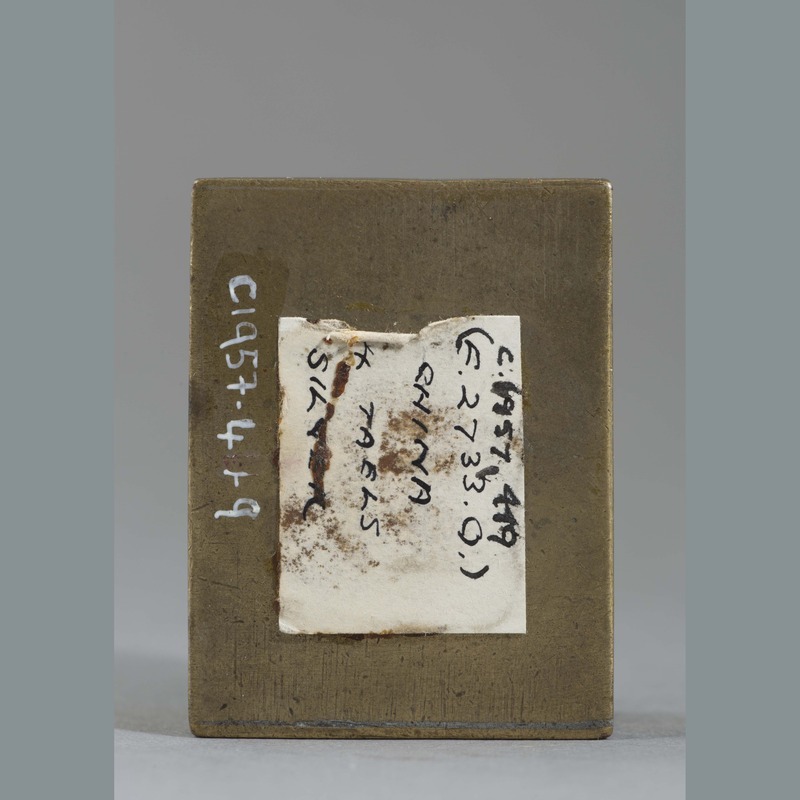 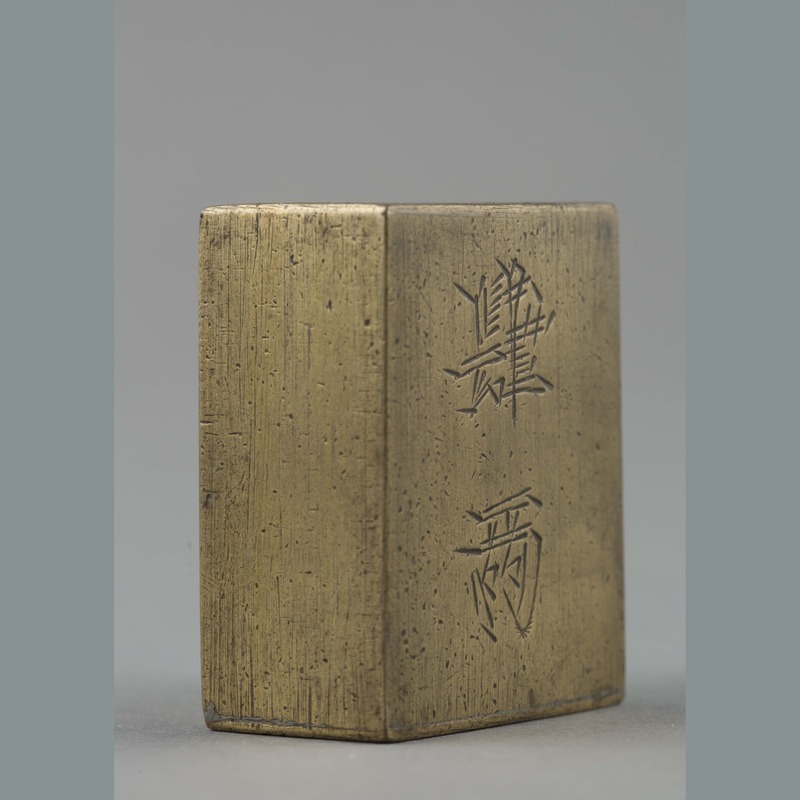 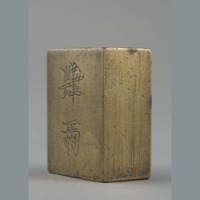 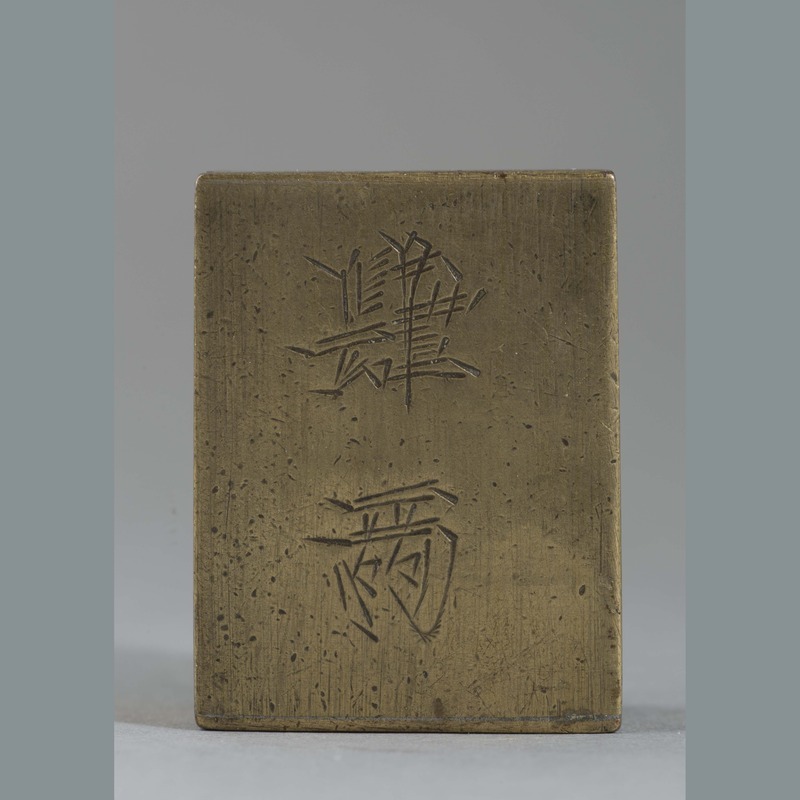 “Weight: brass,” China, Art and Cultural Diplomacy, accessed April 22, 2019, http://rewialleyart.nz/items/show/1180.